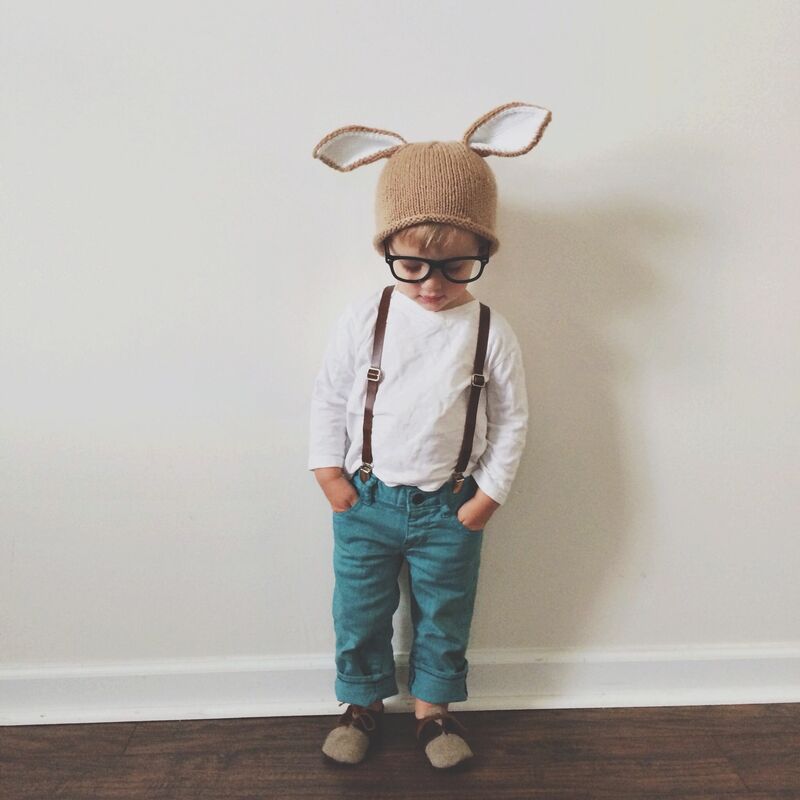 No matter how you spend your Easter, wether it’s going to church, a Sunday brunch or just hanging out and having an egg hunt with your kids, it’s always nice to dress your kids in a little something special. I’ve put together a few inspiration looks for boys, followed by patterns choices that could help you replicate these looks. If you’re into a more formal Easter, you might want to sew something that’s a little more dressy. Button ups and a pair of dress pants are always good basics for a formal look, paired with a blazer or a vest or even a simple bowtie or necktie. From a button up onesie for you littlest one, to a suit jacket and tie for your oldest, there’s definitely some great pattern options out there, for example, Oliver + S’s sketchbook shirt is a great pattern to base any look off of, or if you’re hoping to have a button up for your baby, the Max and Matilda Button-Up Bodysuit from Peekaboo Patterns really fits the bill! From there, you just need to choose wether you want to add a vest or a blazer, or just pair it with a tie. At our house, we don’t really do full formal wear. We might do a Sunday brunch, which means if I tell the boys they need to dress nice, they’ll tend to sit in this zone, a more casual dressy. They usually go with these type of pants or if its hot out they’ll wear a khaki or dressy short. For this, I find that as long as you have a nice trouser pattern, you can really do just about anything with it. You can pair them with a more casual button up or a polo shirt, layer it with a cardigan, a pullover or even a knit vest to add some personality. But in all honesty, at our house for the most part, we’re pretty low key on Easter, yes the kids might dress up for a Sunday brunch or an Easter dinner. But if we’re staying home, as long as they’re dressed in clean clothes then I’m usually happy. A skinny jean and a tee are pretty much the basics. Sometimes I’ll also get them special tees that have saying on them or are a bit more easter themed. For this, I’ll tend to go with basic patterns I love. Starting with a good skinny jean pattern, like the Jagger Jeans, which you could sew up either in a dark wash or a fun colour. You could then pair it with the Mulberry tunic if you still wanted to have a woven top, which would keep your look a bit more on the causal side without being everyday. Or pair it with a good basic tee like to Yo Ho Henley. Possibly even use the Rowan tee and give it some Easter personality with a freezer paper stencil or even an iron transfer. If you’re coming up empty on ideas, here are a few of my favourite files that I found on Etsy here, here, here and here. I hope this gets you excited to create something special for your little (or big) guy for the holiday. Chime in in the comments and let us know what your Easter sewing plans are! We’d love to hear from you!